This stone arch, about half way up Tower Garden, off Water Street, was the last remnant of the town's feudal architecture. 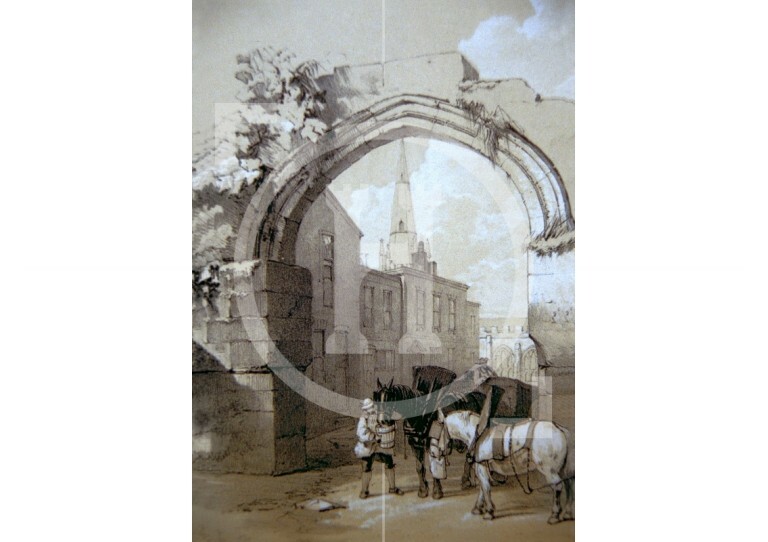 It was demolished in 1819. 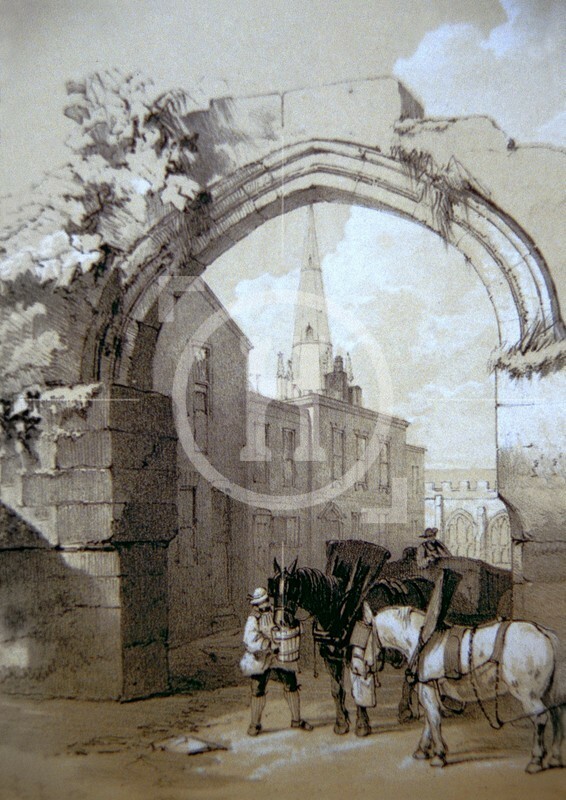 Houses and the Church of Our Lady and St Nicholas can be seen through the archway.